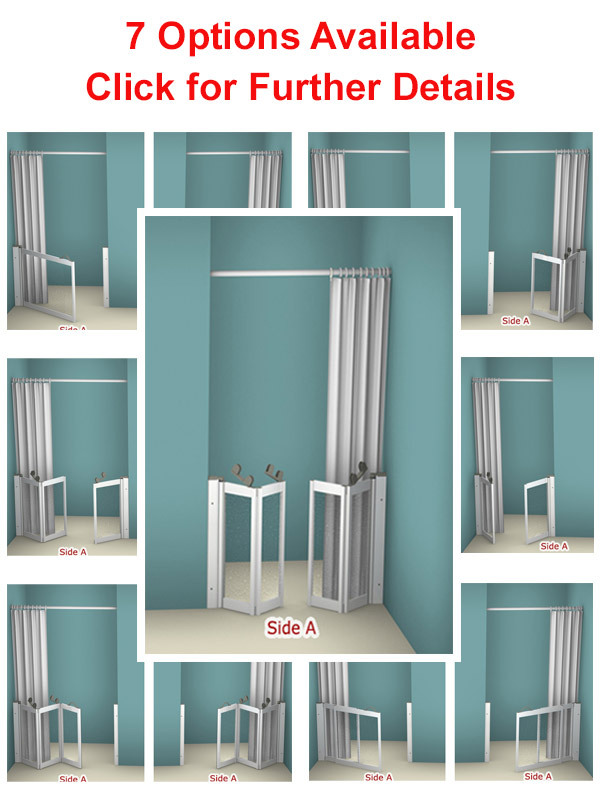 Half Height Shower doors and shower screens with White frames enable easy access assisted showering. White frames with PET glazing available in 37 configurations, half height shower doors and panels available to suit most layouts. Luxe satin silver door frames also available. We offer Shower Doors & Shower Screens for both Alcove and Corner Access showering, ideal for disabled showering to help maintain independence. Our large range of products offer solutions to almost every situation. Assisted showering screens and doors enable easy access for disabled and mobility restricted showering and splash protection for any carers assisting. Made to measure service with a quick 24 hour delivery. Full height fixed panels also available on request. We are able to adapt any existing configuration to meet your needs. 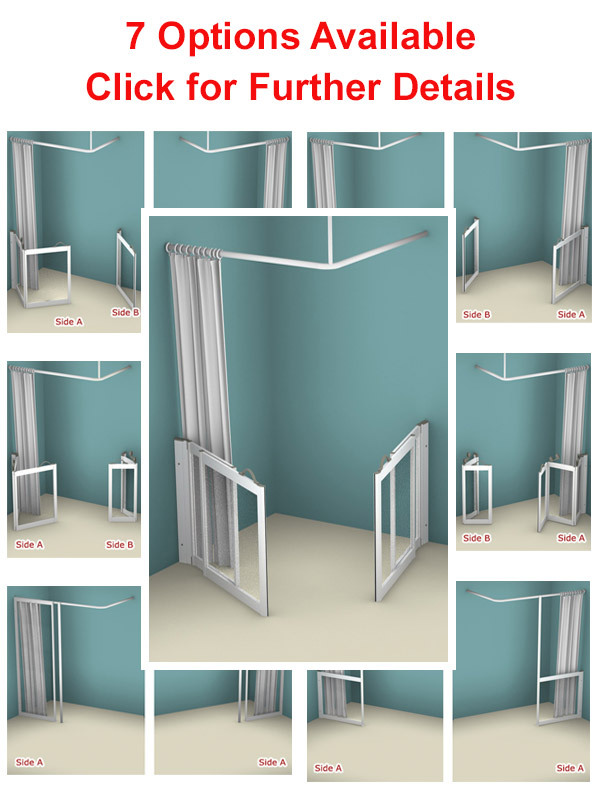 View our range of Contour Half Height Made to Measure doors / screens. All configurations are available as Left or Right handed options. We have split the configurations into 5 categories to help you narrow down your search quickly. 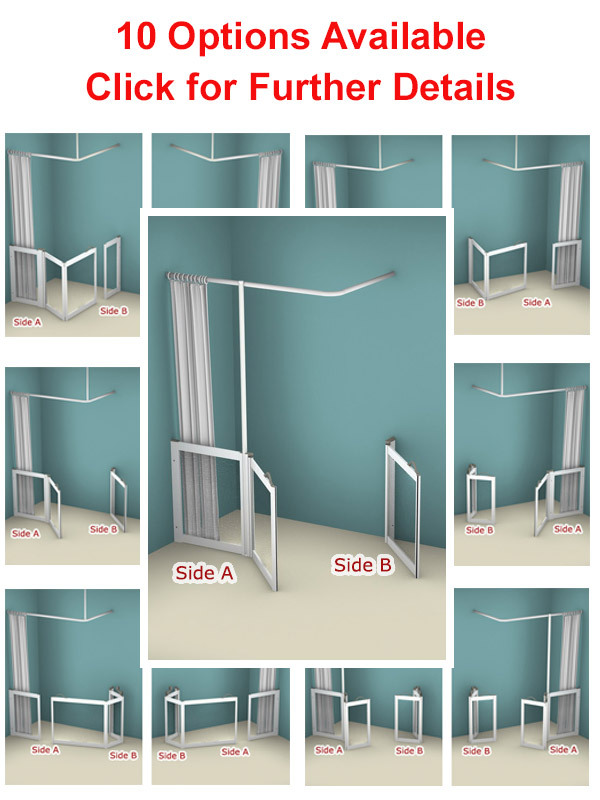 Click the images below to see the full range of options for each configuration type. If you need any assistance, please contact us, we are happy to help. Fast order to delivery turnaround. Orders received before 11:30am on any business day are delivered the following business day !